The furor over the iPhone 5’s launch has started to die down, but the rumor mill can only be sated temporarily. Whispers have been swelling that Apple plans to introduce a smaller iPad—an iPad mini, they say—with a 7.85-inch screen. And now that speculation has a date attached to it: October 10 is rumored to be the day when Apple will issue invitations for a mid-month press event where it will announce its new tablet. That date is all too soon. But while I think it's likely that Apple will produce a smaller iPad at some point, I don’t think that point is here yet. Sure, launching an iPad mini right now would position the device for a blockbuster holiday release. But it strikes me as an odd time to launch one for two reasons: First, because the iPhone 5 launched a couple of weeks ago; and second, because the current iPad itself is probably due for a refresh just a few months down the road. 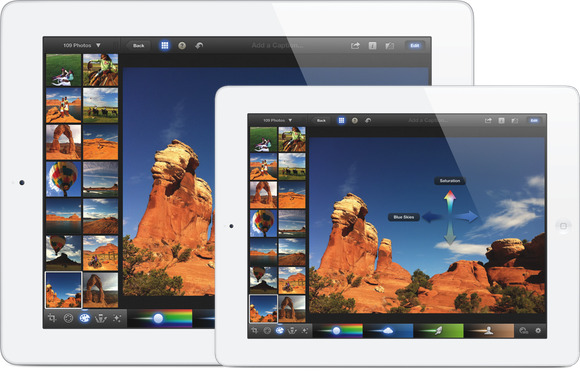 Apple introduced the second- and third-generation versions of the iPad in March of 2011 and 2012; the first generation was announced in January of 2010 but didn’t ship until that April. As with the iPhone, Apple seems to be following a roughly once-a-year revision schedule for its tablet. Given that history, it seems logical to conclude that a fourth-generation iPad will probably make an appearance in the spring of 2013. So why release an iPad mini now? Wouldn’t it make more sense to announce it alongside a revamped iPad? Otherwise, it would seem as though Apple is committing itself to releasing new models of the iPad in the spring and of the iPad mini in the fall. It seems an odd division, like the company updating the 13-inch MacBook Air without bringing improvements to the 11-inch Air. It depends, I suppose, on how much the two are treated as separate products, rather than just bigger and smaller versions of the same device. After all, until this year, Apple always revamped the iPhone and iPod touch separately, despite their similarities. But the iPad mini, by all indications, would likely just be a lower-powered version of the iPad itself, more on par with the second-generation model that Apple still sells, rather than the new Retina-display-bearing model we got this year. And that leads me to my second point. If such a device is essentially a shrunken iPad, would it offer enough that's new to support a full event? Not to give too much credence to those critics who derided the original iPad as little more than a big iPod touch, but is there something compelling and novel enough about the much-ballyhooed 7.85-inch design itself that warrants the full dog-and-pony show? Yes, it’s a new form factor. And yes, the advantages of the smaller design are clear: Not only will it weigh less, but it will likely be even thinner than the current iPad. Those aren’t insignificant changes: The iPad isn’t exactly heavy, but having played with some of the smaller tablets available from other vendors, it’s clear that Apple has room for improvement in the weight department. Just try reading in bed while holding your current iPad, and let me know how long you can go before your hand gets tired. Even the iPhone, as mind-bogglingly popular as it is, didn’t merit its own event this year; instead, it ended up sharing the stage with a new version of the iPod touch and new iPod nanos, and even a preview of a new version of iTunes. You’d be forgiven for having lost sight of the new smartphone among all the other news. But beyond the form factor, I’m hard-pressed to say what else a smaller iPad might have that we haven’t already seen. The only thing that comes to mind is that such a device would likely incorporate Apple’s new Lightning connector, which debuted on the iPhone 5. That makes perfect sense in terms of freeing up space in a smaller device, but it hardly seems important enough to hang an event on, given that we’ve already been treated to a marketing blitz about what that connector can do—and heard the loud cries of those who feel slighted by Apple’s choice to do away with its long-in-the-tooth 30-pin connector. Then there’s the competition. There’s plenty of it in the 7-to-8-inch tablet market, with new entries from Amazon and a whole mess of Android options. I can’t imagine Apple wants to leave this arena uncontested for long—but the company also has time on its side. The iPad remains the dominant and defining product in this niche, and Apple has time to ride that wave, even in the wake of increased competition. I’m sure we all agree that Apple can probably sell plenty of smaller iPads no matter when it introduces them. But the longer it waits, the more opportunity it has to keep its competitors guessing about which specs they need to compete with. To put it another way, right now, Apple clearly controls the game. I don’t see Apple announcing the iPad mini this month, but if there’s one thing I’ve learned in my years of covering Cupertino’s every move, it’s that the company doesn’t always act the way you expect it to. You expect them to zig, they zag; you expect them to introduce a world-beating new product, and you get iPod socks or Ping. I’m sure there’s more behind Apple’s idea of the iPad mini than what I’ve described here, something so clever and obvious that I’ll slap my head and exclaim, “Of course! This was always the only option!” Maybe there’s a key piece of information that I’m lacking that will tie this whole October launch-date scenario together. In fact, I suspect that from an inevitability-quantum-mechanics-Schrödinger’s-iPad-mini standpoint, simply by putting myself out there, I’ve probably ensured that an Apple invitation will land in my mailbox next week. But if that doesn’t happen, just remember that you heard it here first.